After a one-off 15 minute consultation costing £10, you will be able to access a range of prescription-only herbal remedies for some of the conditions above. Prescription remedies are typically half price or less compared to buying similar quality remedies over the counter. To register, you will be asked to complete a medical form in advance – please bring a list of any current medications with you. During the consultation, Catriona will discuss your previous medical history, any medications or allergies and the types of conditions you would like to access remedies for. If you choose to progress to a full herbal consultation with follow ups, the cost of your Simple Ailments consultation will be deducted from your first full appointment. To qualify for the Simple Ailments Clinic, you need to be aged 16 or over, not have a complex medical history nor be taking Warfarin and take fewer than 5 conventional medicines. 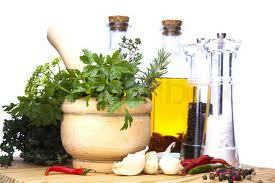 Many of the remedies are suitable for pregnant women and for those avoiding alcohol. If you are not eligible for the clinic, you can still access some of the Simple Ailments Remedies via a full herbal consultation lasting one hour and costing £35. The full consultation also gives you access to personalised prescriptions and follow up appointments for ongoing support.